Even if it’s not required at your job, you’ll probably need to dress in formal wear eventually in your life. Whether you’ve been invited to a wedding, a black-tie party or a college graduation ceremony, countless occasions require formal wear. When one of these occasions arises, it’s important that you choose the right clothes and accessories. Unfortunately, there are a lot of misconceptions about men’s formal wear, sending many men down the wrong path. To help you design the perfect formal outfit, we’re going to debunk some of these misconceptions. Also known as a vest, a waistcoat is a common component of a three-piece suit. However, that doesn’t necessarily mean that you have to wear one. For most occasions, it’s perfectly fine to omit a waistcoat from your outfit. You’ll still need to wear the other components of a suit, including a suit jacket with trousers, but you don’t have to wear a waistcoat. Suits are typically sold as sets consisting of a suit jacket with matching trousers. If the suit jacket is black, the trousers will likely be black as well. But contrary to popular belief, your suit jacket doesn’t have to match your trousers. You can wear trousers in a completely different color than your suit jacket, assuming the two colors flow cohesively with each other. If the color of your suit jacket clashes with the color of your trousers, on the other hand, you should explore other outfit options. During the cold winter months, many men avoid wearing suits because they believe that they can’t wear a sweater with them. Even during formal events and occasions, however, you can wear a sweater with your suit. Simply wear the sweater over your dress shirt and pop up your shirt collar so that it hangs over the top of the sweater. Depending on the size of your suit jacket, may be able to wear it over your sweater for added warmth. When putting together a formal event, you shouldn’t ignore the color and design of your socks. If you are standing or walking, no one will be able to see your dress socks. If you are sitting, however, the bottom of your trousers may rise just enough to expose your dress socks for the world to see. This can either help or hurt your efforts to create an attractive formal outfit. If you wear ordinary white casual socks, it will bring down the aesthetics of your outfit while making it look more casual in the process. But if you wear stylish dress socks in an appropriate color, it will help you create a more cohesive, attractive formal outfit. A good rule of thumb is to choose dress socks in the same color as your trousers. If you’re wearing navy trousers, for example, you should wear navy-colored socks. If you’re wearing black trousers, you should wear black socks. You don’t always have to wear a tie with a formal suit outfit. Unless you’ve been invited to a formal event with a dress that specifically states “tie required,” you can leave this accessory out of your outfit. Many men find neckties to be restrictive and uncomfortable to wear for long periods at a time. If this sounds familiar, another idea is to wear a bow tie, which won’t constrict your neck like a necktie. As mentioned here, though, you can even go without a necktie. Sure, you can get your suit tailored, but this isn’t a requirement for men’s formal wear. As long as your suit fits right, it shouldn’t need tailoring. This why buying your suit from StudioSuits is a good idea. Regardless of which suit you prefer, we offer free customization on all suits purchased through our website. 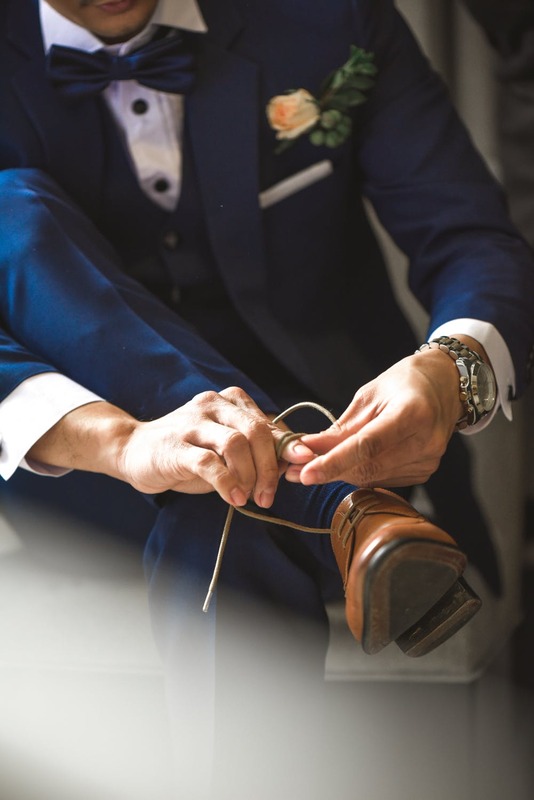 By providing us with your measurements, you can rest assured knowing that your suit will fit just right. And because of this, you won’t have to get it tailored. Plenty of men leave their suit jacket buttoned, some of whom do it for warmth, whereas others believe that it’s a requirement when wearing a suit. The truth is that you don’t have to keep up your jacket buttoned up. If you’re going to button up your jacket, fasten all the buttons except for the bottom, which you can leave undone. But it’s perfectly fine to unfasten all the buttons, and you can even take off your jacket. You may be able to clean your suit by placing it in the washing machine, but you run the risk of damaging it in the process. 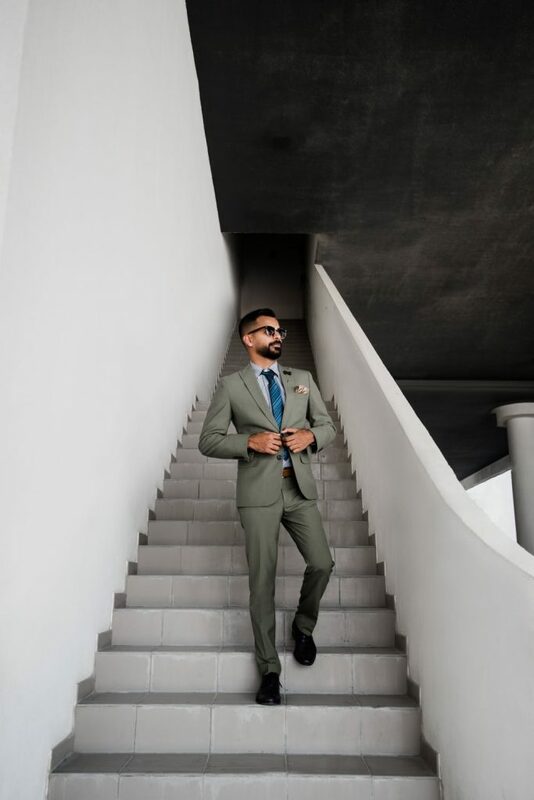 Suits are designed using fine threading and seams to create a high-end appearance. As a result, placing them in the washing machine could damage them. This won’t always happen, but it’s not worth taking the risk. Instead, err on the side of caution by keeping your suit out of the washing machine. You can check your suit’s care label for more information on how to clean it. Most suits require dry cleaning, meaning you’ll have to take it to a local dry cleaners to have it cleaned. Always follow the instructions on your suit’s care label to protect it from damage. Cotton suits are popular for several reasons. They are soft, inexpensive and relatively durable. But there are plenty of other fabrics in which suits are made, so don’t limit yourself to only choosing a cotton suit. Linen suits, for example, are even lighter than cotton suits, making them ideal for the hot summer months. There are also wool suits that are better equipped for the cooler winter months.